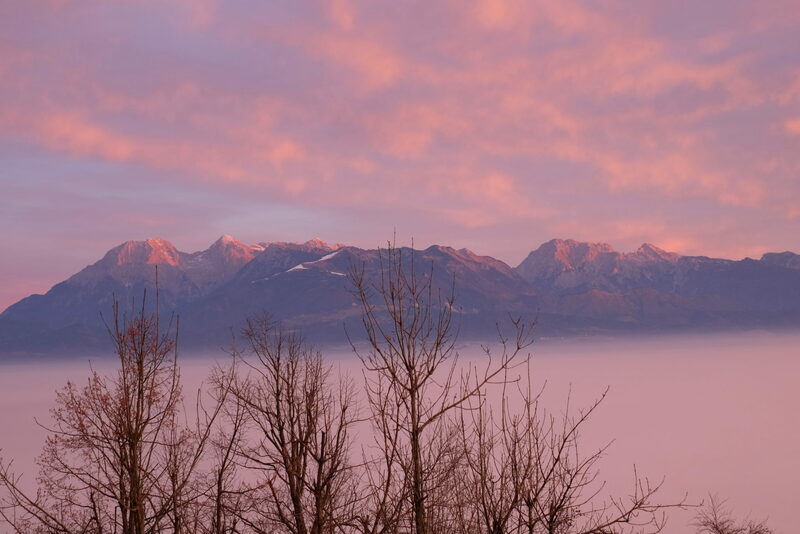 Looking at the Kamnik-Savinja Alps, a beautiful mountain range closest to Ljubljana, lit in vibrant early morning colors with veils of fog lingering below rugged peaks, I got an ingenious idea I just couldn’t shake off. 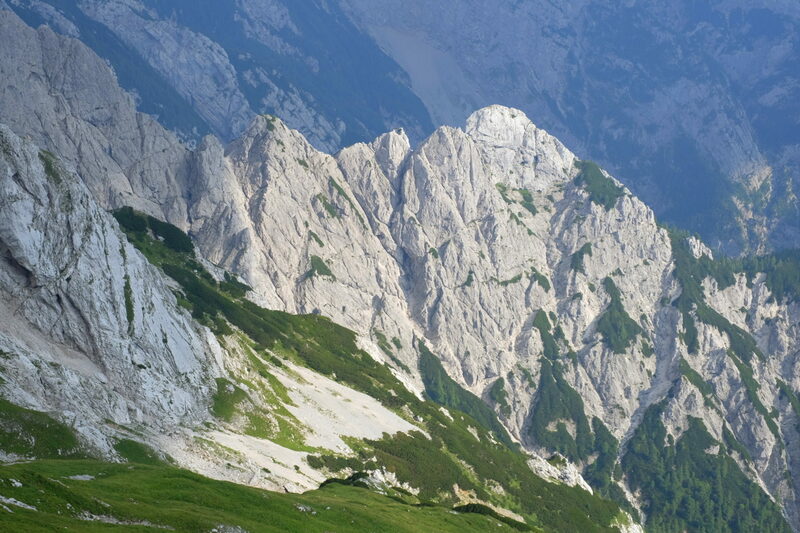 In a weekend excursion, I would traverse a good part of the Kamnik-Savinja Alps across the peaks I hadn’t climbed yet! 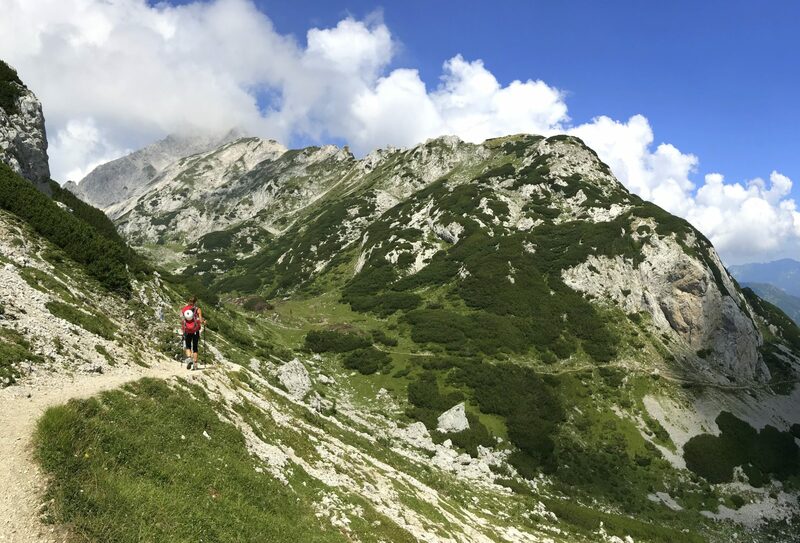 With five out of eleven favored peaks already checked, I was looking forward to climbing another set of five peaks in one go; Ojstrica, Planjava, Turska Gora, Koroška Rinka and Skuta - all mountains above 2 K meters, steep, and on my planned route from east to west. 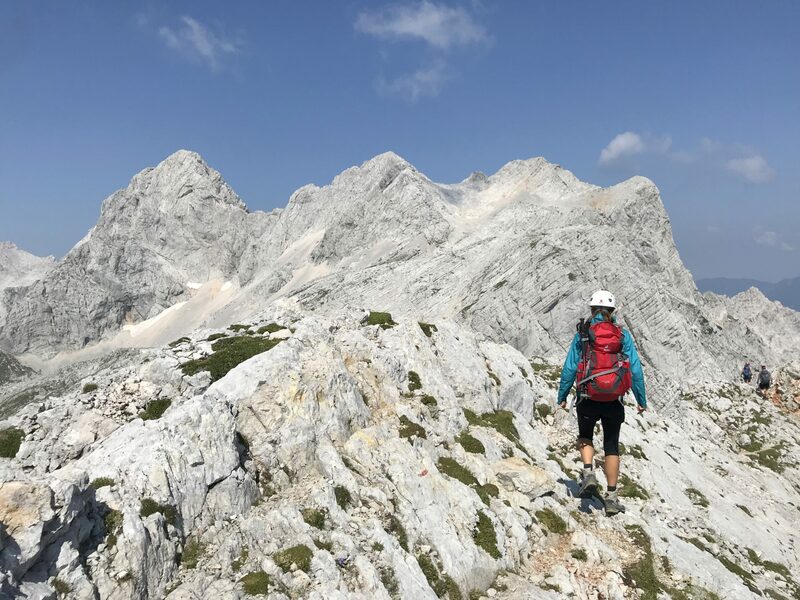 Eerie and spectacular in equal measure, the Kamnik-Savinja Alps are a boutique mountain range within easy reach of Slovenia’s capital Ljubljana with 28 peaks above 2,000 m, the highest peak Mt. 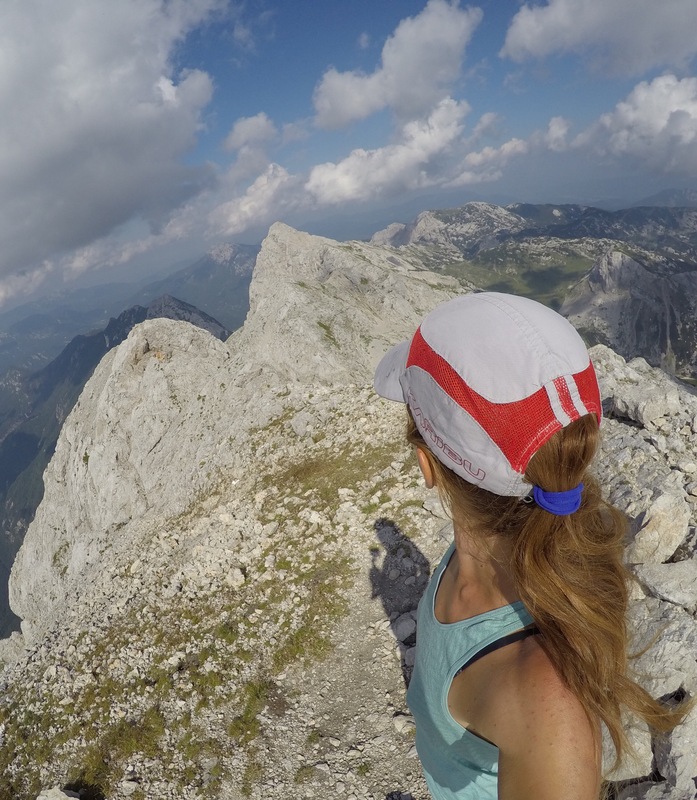 Grintovec, 2,558 m, and countless smaller peaks like Goli Vrh. 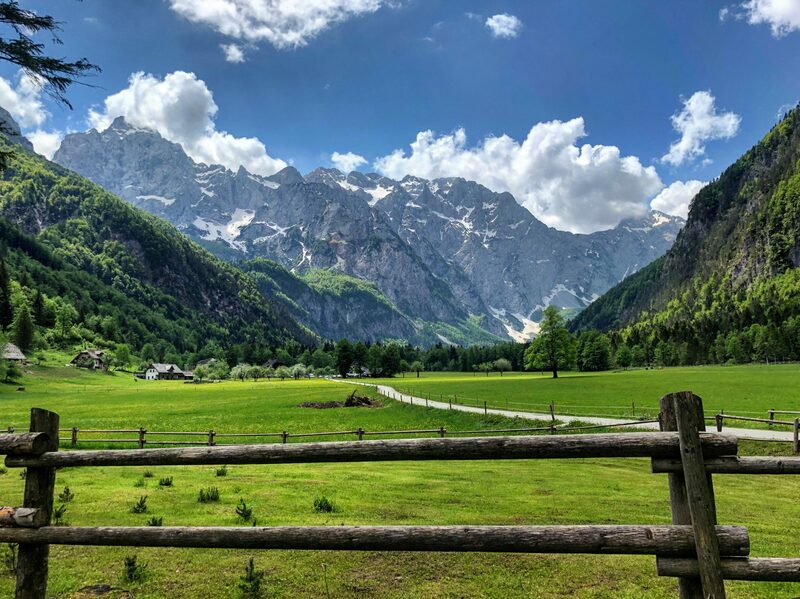 Stretched between a smallish town of Kamnik to the south and the breathtaking glacial Logar Valley to the north, the whole area of the Kamnik-Savinja Alps on the Slovenian side covers 900 m2 and as such makes a prime day-tripping destination for the locals and Ljubljana tourists alike. 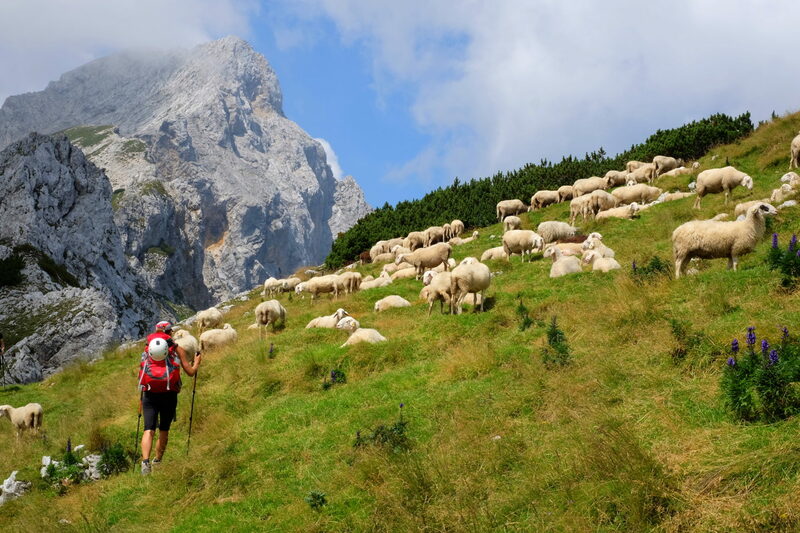 For other ideas on hiking, climbing, cycling, fly fishing and other outdoor adventures in the Kamnik-Savinja Alps, you might want to check the Kamnik-Savinja Alps Official Website. 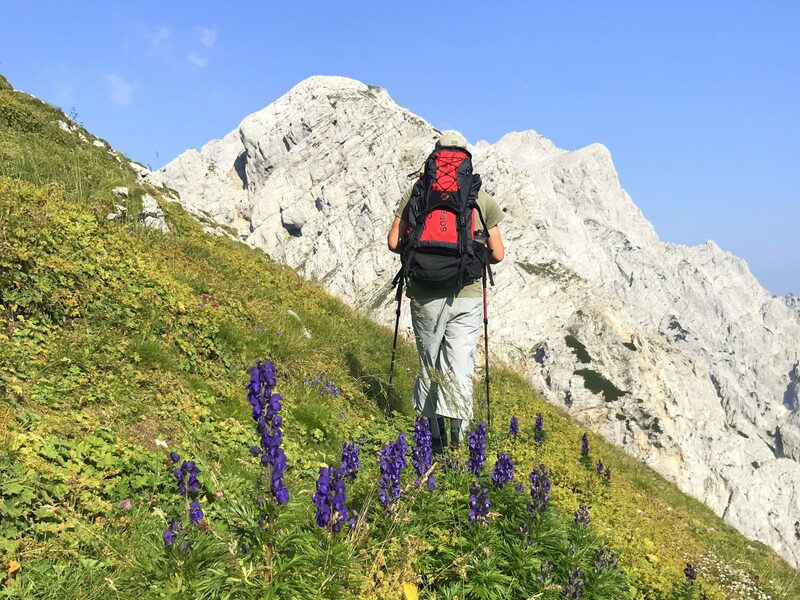 If you prefer to bo broader and explore the Julian Alps and the Karawanks as well, I warmly recommend to check SloveniaAlps.com! On a clear Saturday morning, my husband and I headed towards the grandiose peaks in two separate cars. 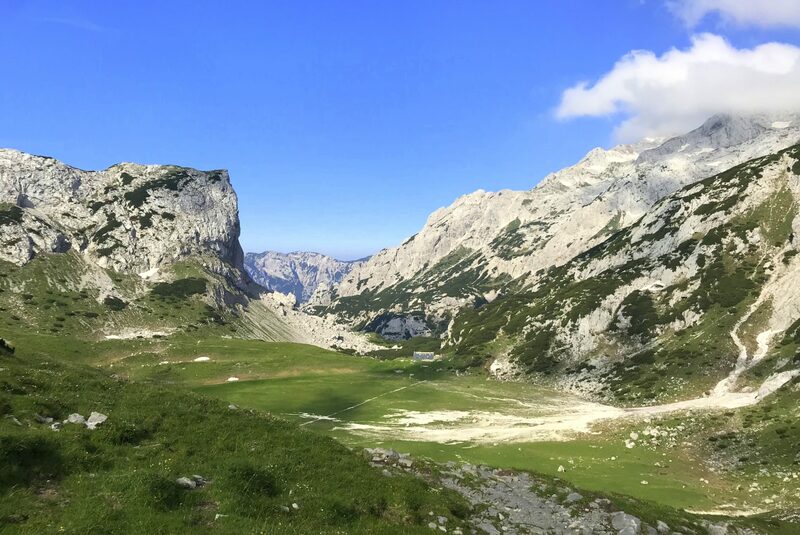 With one car parked in Kamniška Bistrica valley, where we would end the tour the following day, we drove further to the far eastern part of the Alps called the Podvežak Plateau (Slo. 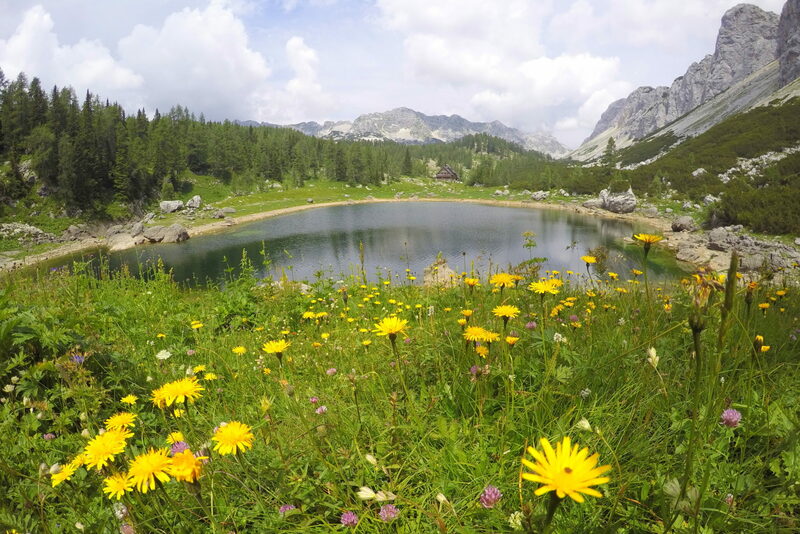 Planina Podvežak), an Alpine plateau at 1,500 m close to Logar Valley with cows grazing on flower speckled meadows and views over high green pastures of Velika Planina. The nature wrapped in deep tranquility of an early morning, we hurried down along a long trail towards our first goal of the day, Mt. 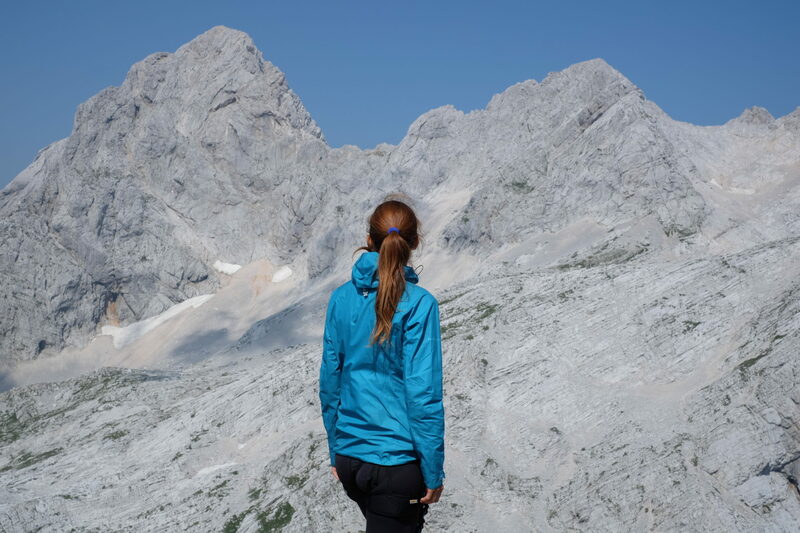 Ojstrica, one of the most prominent peaks of the Kamnik-Savinja Alps. One’s got to start a tour in style, right? At the top of Mt. Ojstrica! While the trail to Mt. Ojstrica turned out relatively easy, there were parts which fit better people who can handle exposure well. Easy or not, it still requires caution and time as it’s marked for 3.5 hours. But, oh, so worth it! 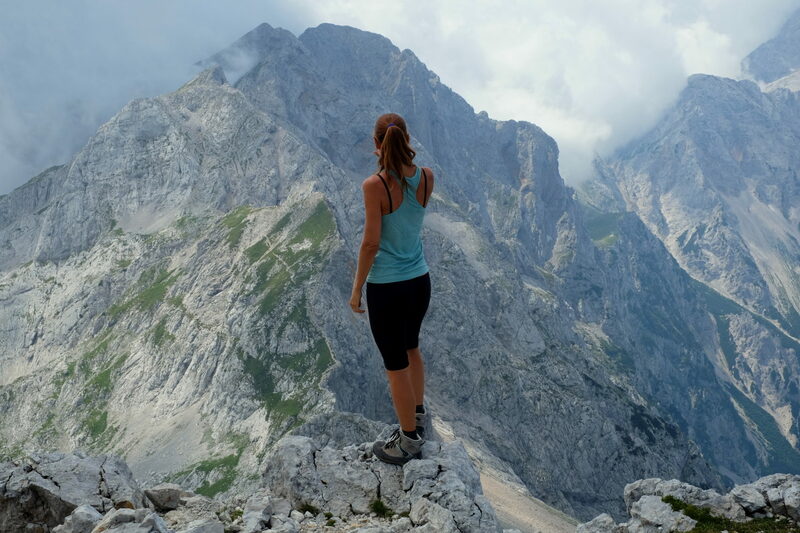 The views from the top simply take your breath away. Another thing that took my breath away was the amount of trail still ahead of us. Yep, we were in a hurry and after a brief stop at the top, we started descending down a steep rocky slope heading in the direction of Mt. Planjava, marked for another 2.5 hours. When at the top of Mt. Planjava, 2,394 m, our hike was far from over. 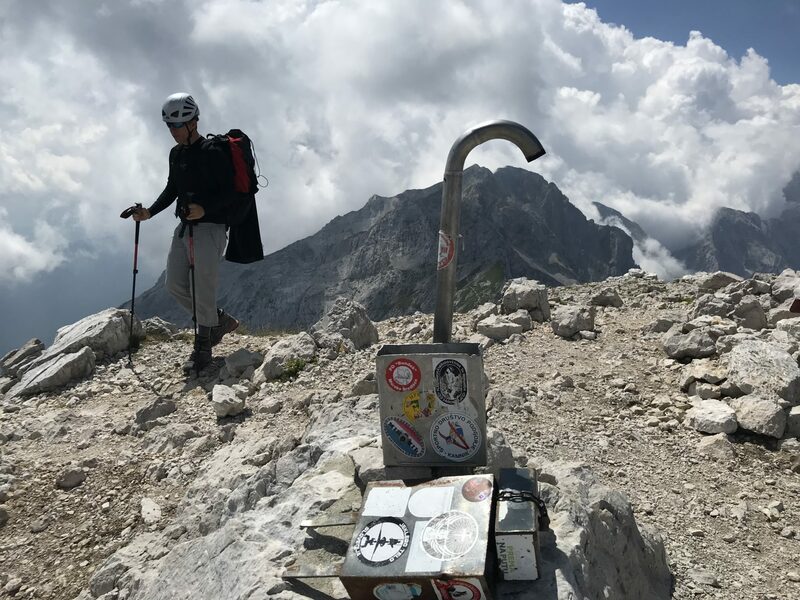 We refueled a bit and took a moment to appreciate the warm sun, the heavenly scenery, the views of the peaks we had just arrived from, and the views of the world still waiting to be uncovered. 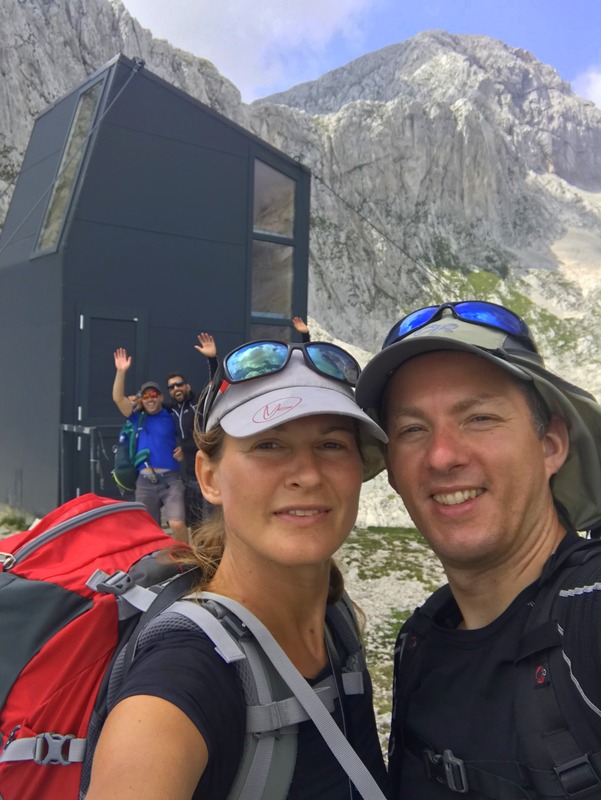 The excitement was high as we immersed ourselves into the last two hours of our hike before crashing in the hut. 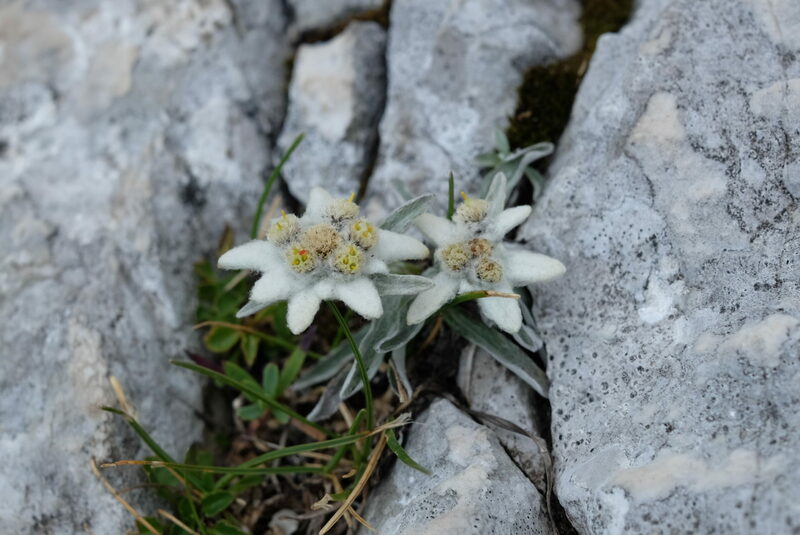 If I mentioned in my previous post Wandering through the land of the Alpine ibex how the territory of the rare Alpine ibex spans over the rocky world of the Kamnik-Savinja Alps from Kočna to Ojstrica, I realized somewhere along the way from Ojstrica to Planjava I was actually wandering through their territory. As it turned out, it didn’t take a long time to actually bump into a group of ibexes! At the top of Mt. Planjava, yeah!!! 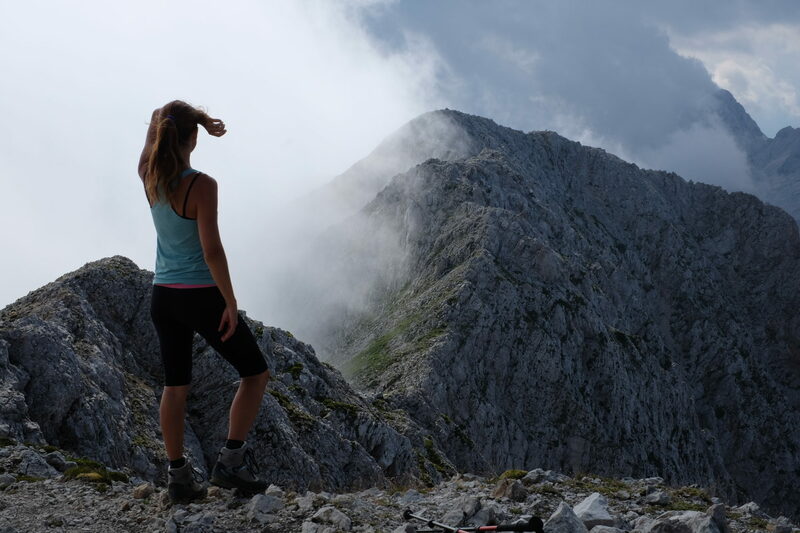 Considered as the most beautiful ridge in Slovenia, crossing the Zeleniške Špice ridge is supposed to be a unique experience at a constant moderate challenge across its full length. 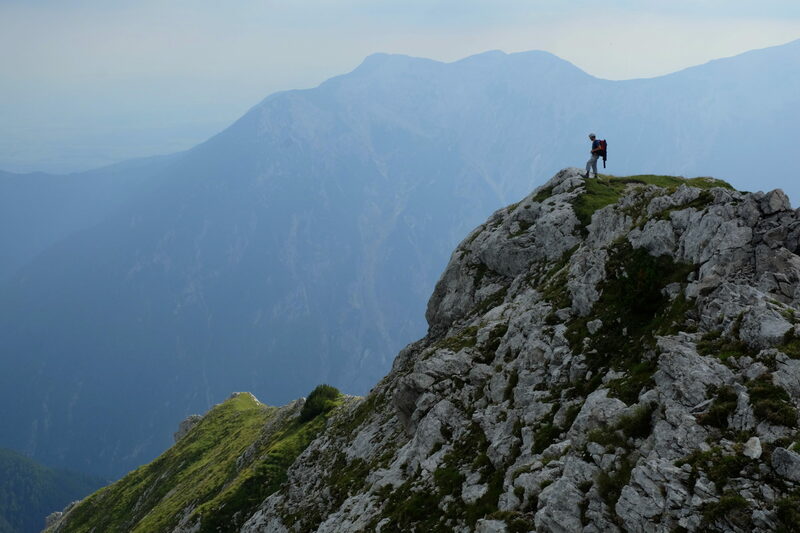 If you are up to the challenge, let me know (info@exploringslovenia.com) and I’ll organize a guided tour for you. After hours of wandering through a tough rocky world up there, I finally entered a world more pleasant, soft and familiar. As much as I love rocks, that felt beyond amazing! 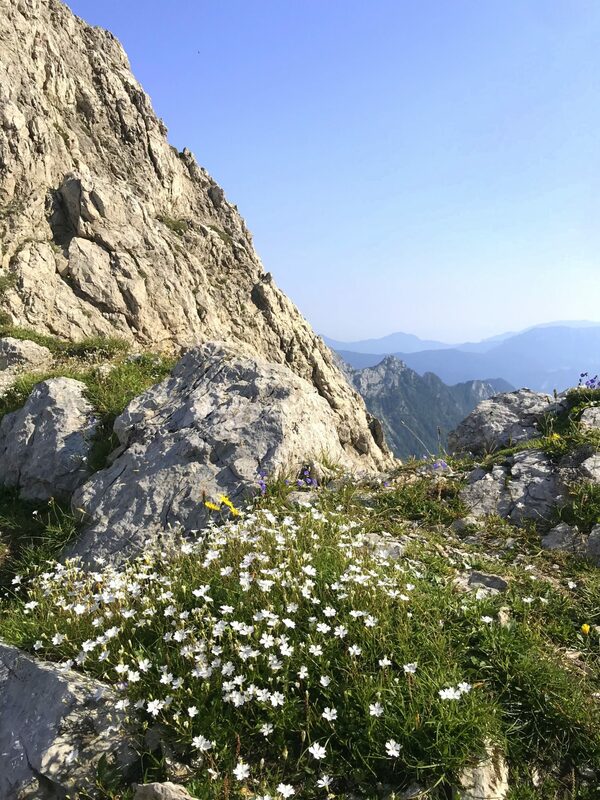 Open throughout the year on sunny weekends and every day from June to September, the Kamnik Hut is a place to rest, boost up energy with mountain dishes like ričet and jota, enjoy a cold drink, and spend a night in the midst of the high Alpine world. Stretched out between private and communal bedrooms, the hut sleeps 56 people easily, while the winter room sleeps another 12 people if needed. 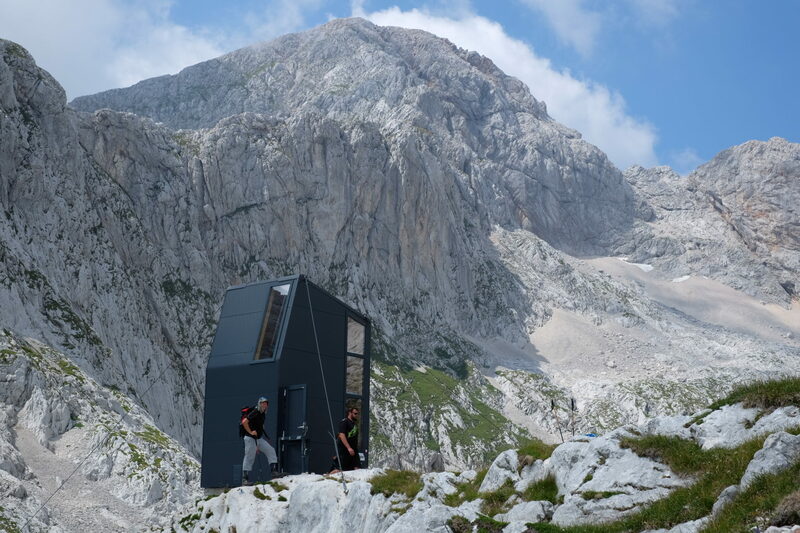 Plus, the hut offers unlimited shower water! Since I’d already climbed Mt. Brana, the next mountain in line, last year, we skipped it altogether on our through-hike this year, and headed directly towards the technically most demanding climb of the tour, Mt. 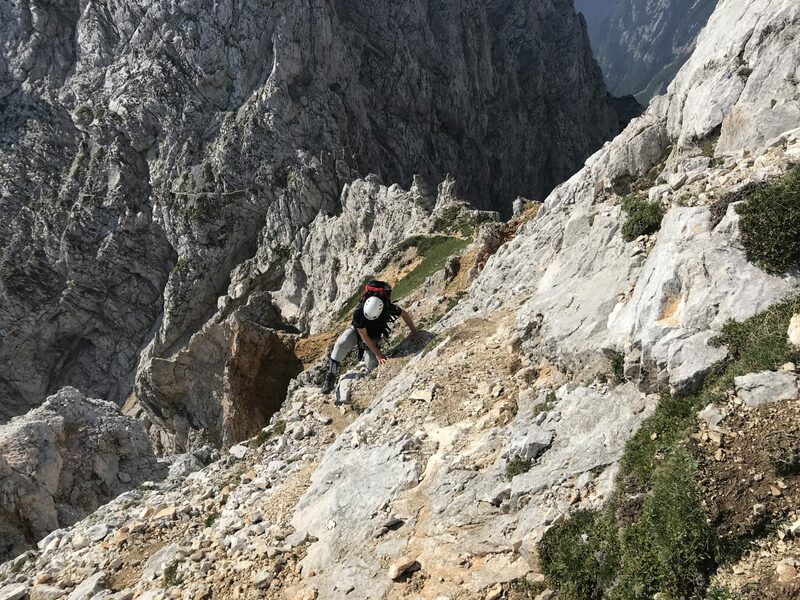 Turska Gora, 2,251 m. We strapped on the climbing harness, the via ferrata set and helmets, and started towards the precipitous world up there. 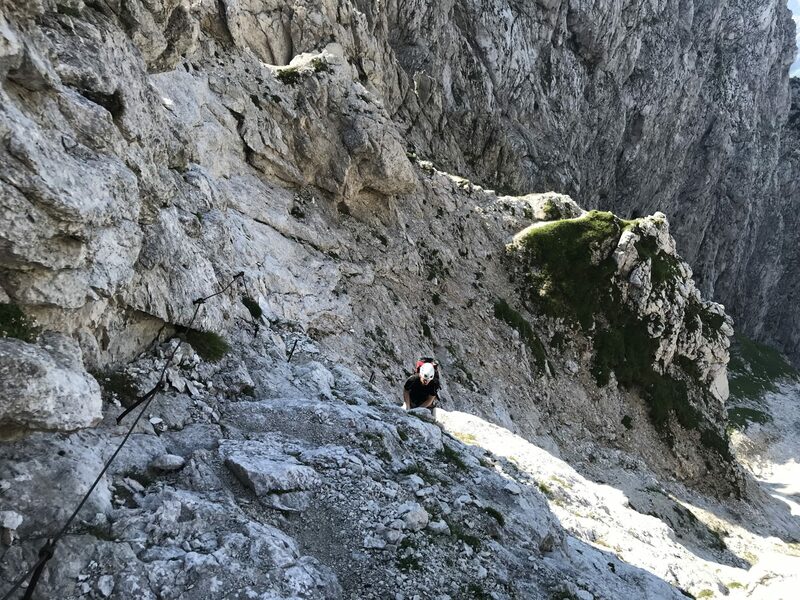 … and we reached the top of Mt. 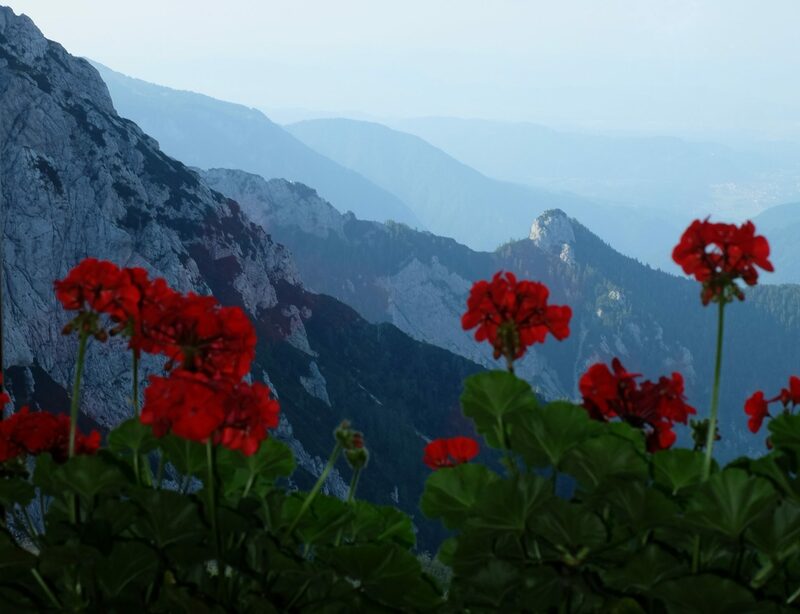 Turska Gora! 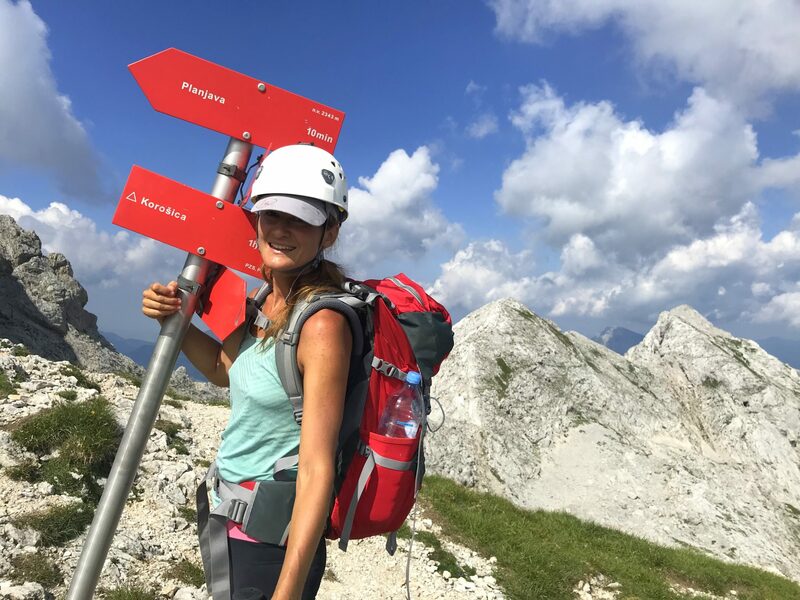 Already a bit tired and thinking of the long way ahead, we changed our plans from climbing straight across Mt. Rinka and Mt. Skuta to just crossing the plateaus beneath them in order to reach the hut on Kokra Saddle (Slo. Kokrško sedlo). 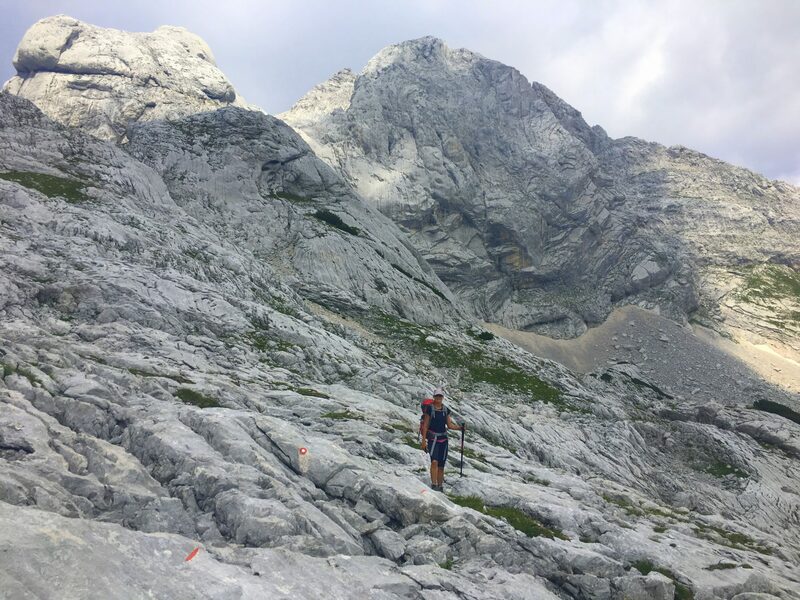 Nevertheless, even the flatter plateaus required plenty of time and energy. 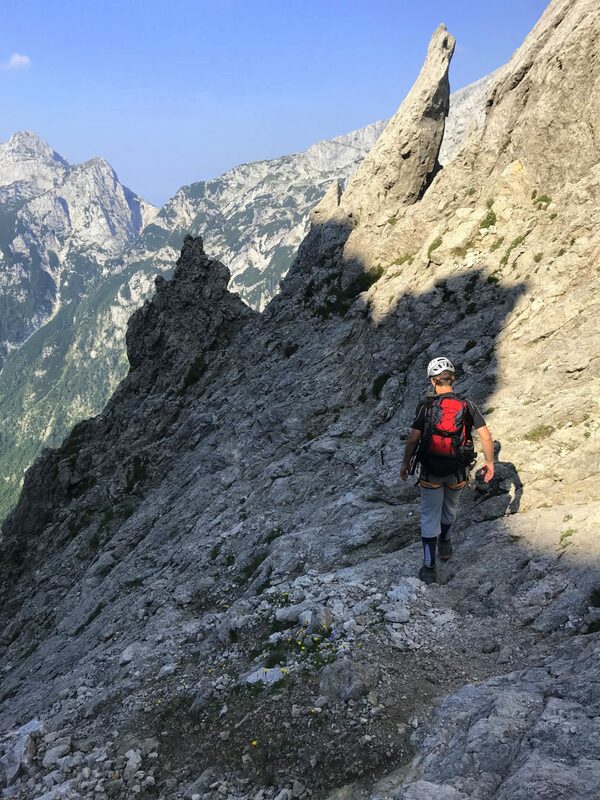 Marked for almost four hours, and during repeated ascents (and descents) even seemingly endless, the high plateaus are a true test of persistence. With a few blisters on my feet, I just kept picturing myself kicking off those hot shoes and jumping into a refreshing spring water of Kamniška Bistrica River. 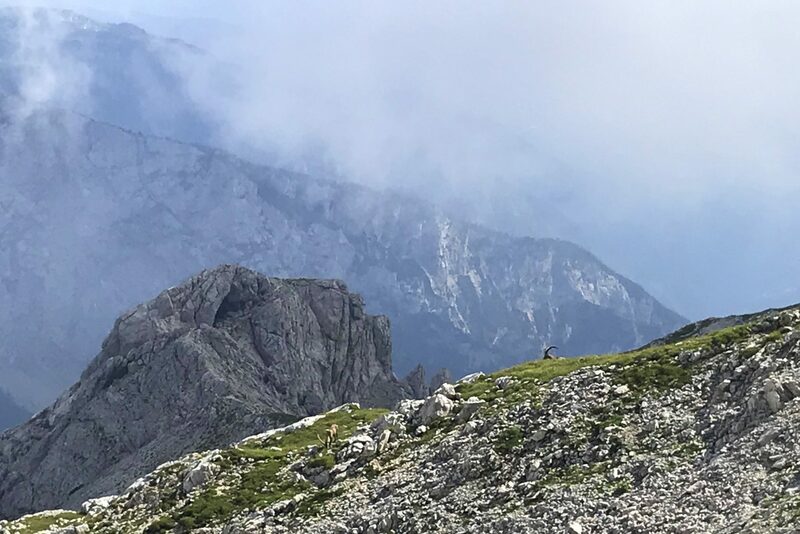 While we were tempted to cut our final hike by taking another much steeper direct route down to our car, we figured it should be safer to stick to our plan and cross the plateaus, reach the hut and then descend down a normal route in planned 5-6 hours. And, so, we did. Fun stuff along the way? 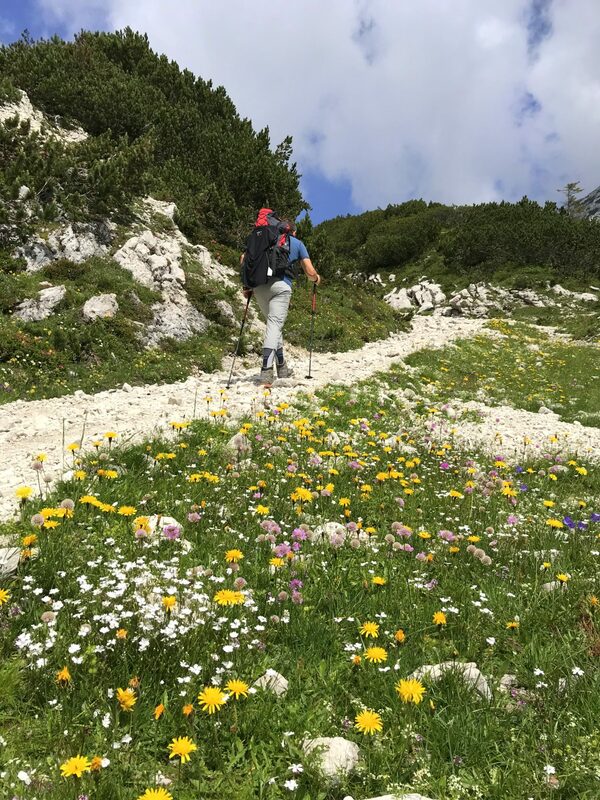 More Alpine ibexes, rare flowers, two bivouacs, and a group of funny Czech hikers (since there is always at least one group of Czech hikers, I really feel they deserve a mention :D ). 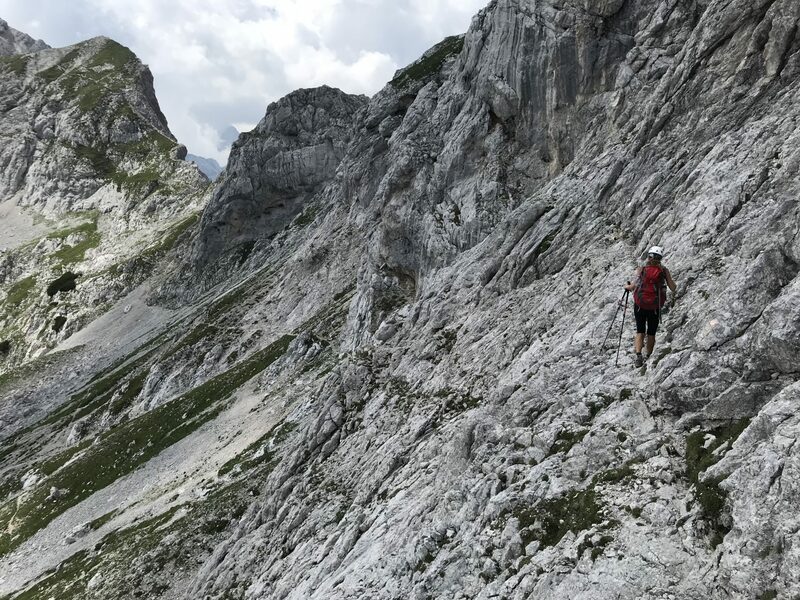 All in all, the traverse was incredible and I would do it over and over again. It’s an adventure so intense and packed with emotions, anything from sheer happiness, thrill, fear, triumph and sometimes a desire to just quit. 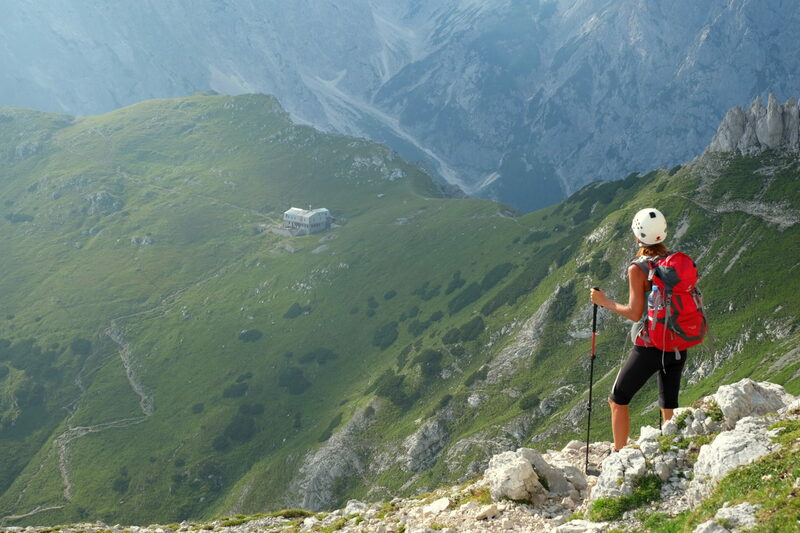 It’s also packed with various challenges like endurance, skillful climbing, long trails and carrying heavy backpacks. Nonetheless, once successfully finished, it’s an adventure that fills you with immense pride and memories for life. I’m proud I have tackled it and am definitely putting it on a bucket list for anyone with a hearty sense of adventure! We will have a car, but just one car, so we have to do an out and back hike instead of a traverse! 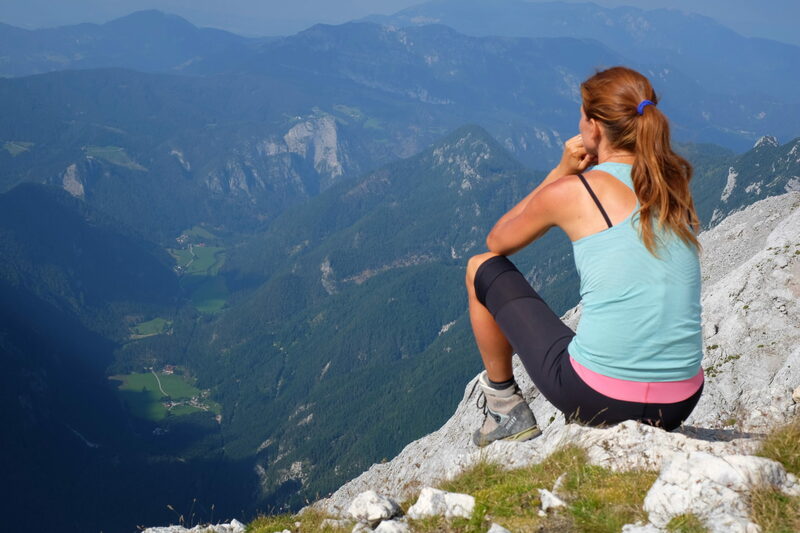 Do you recommend hiking from Logarska Dolina or from Kamnika Bistrica?